Ajahn Jhanarato [JR], started the evening by relaxing us with an explanation of the quiet moments that we experience between thoughts. These quiet moments are what we need to focus on but how do we do that without effort, without tripping our “self” into a thought process. Don't, that's it, don't. When a thought arises, just let it pass, don't engage, gently pull yourself back to your meditation. We will do this many times and eventually [with lots of practice] we start to notice that the gaps, or quiet moments, become longer. After a while they will become more frequent than the random thoughts. Ajahn recommended to us all that we read Ajahn Brahms booklet on "The Basic Method of Meditation" before we attempt to move onto more advanced states of meditation. Ajahn then led us through a very relaxed and easy 30 minute meditation, asking us to just notice the quiet moments of our mind. He reminded us to use our breath as an anchor to return us when we strayed into random thoughts. After meditation Ajahn opened to Q&A with explanations on some of the more difficult concepts to grasp for beginners. It was Venerable Mudu's first of, hopefully, many, visits to the Armadale Meditation Group's Tuesday evening session. Venerable opened the evening by introducing himself to us all and relating a shortened version of his life as a monastic. After his introduction he posed the question of "Why on earth would we want to meditate". Is it because it's cool, hip and popular? Well, yes it is cool, hip and popular, but that isn't enough of a reason to do it. 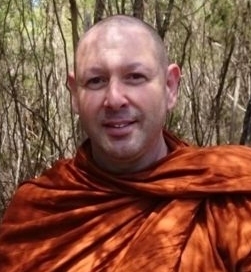 Venerable related a story of a visit Ajahn Chah had from an American scientist. The scientist, wishing to know what, if anything, was going on when we meditate, brought along all manner of instruments to try to measure any results he might find. Before he commenced, he asked Ajahn Chah “Why do you meditate”. To which Ajahn Chah responded "To have a healthy body, you must eat right and exercise". "To have a healthy mind, you must meditate". 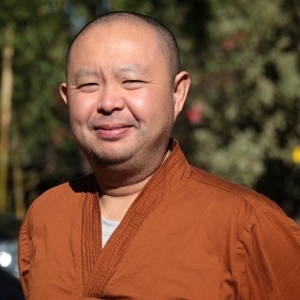 With that in mind, Venerable then gave an explanation easily understood by inexperienced and experienced meditators alike on the simplest way to start meditating and gently gaining experience with practice. Venerable then led us through meditation beginning with a body sweep and progressing to breath meditation. After meditation Venerable opened to Q&A before continuing his talk on monastic life and life in general.